Using the confidence level for each attack progression, analysts can validate the threat, visualize how the attack has occurred and is progressing and uncover what tactics can still possibly occur. Through analysis of the local environment, QRadar Advisor recommends which new investigations should be escalated to assist the analyst with driving quicker and more decisive escalations. Apply cognitive reasoning to identify the likely threat and connect threat entities related to the original incident such as malicious files, suspicious IP addresses, and rogue entities to draw relationships among these entities. Automatically tap into Watson for Cyber Security to apply external unstructured data including threat intelligence feeds, websites, forums, and more. QRadar Advisor will automatically link investigations through connected incidents, reducing duplication of effort and extending the investigation beyond the current probable incident and alert. Identify investigations with the greatest risk, run multiple investigations at the same time and sort and filter through the data to quickly understand where you should focus your attention. Determine if you need to do additional tuning of your environment in the case of multiple duplicate investigations being triggered by the same events. Accelerating analysis and freeing up analysts' time. Automatically investigate indicators of compromise and suspicious behaviors. Quickly gather insights by correlating millions of external sources against local data, while enabling analysts to focus on more complex parts of the response cycle. Visualizing the scope and severity of a threat. 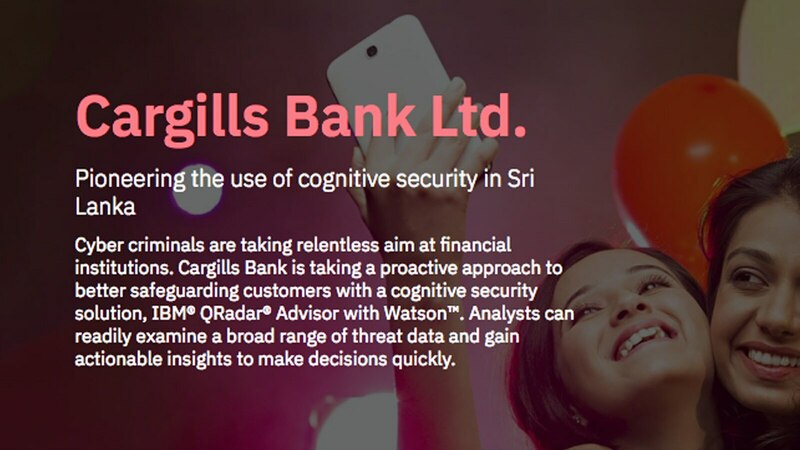 Apply cognitive reasoning to build relationships among discovered threat entities and get visibility into higher priority risks. Possibly missing incidents due to false positives, false negatives, or by lack of automation. Determining how prevalent active threats are, and If they are related. Easily see if related network events or flow communications related to a threat have gotten through, or if the traffic was blocked by your existing defenses network. Focus efforts on active threats.